Perry Township Schools is proud to announce it is named the first recipient of the National Award of Excellence for Educator Effectiveness by the National Institute for Excellence in Teaching (NIET). 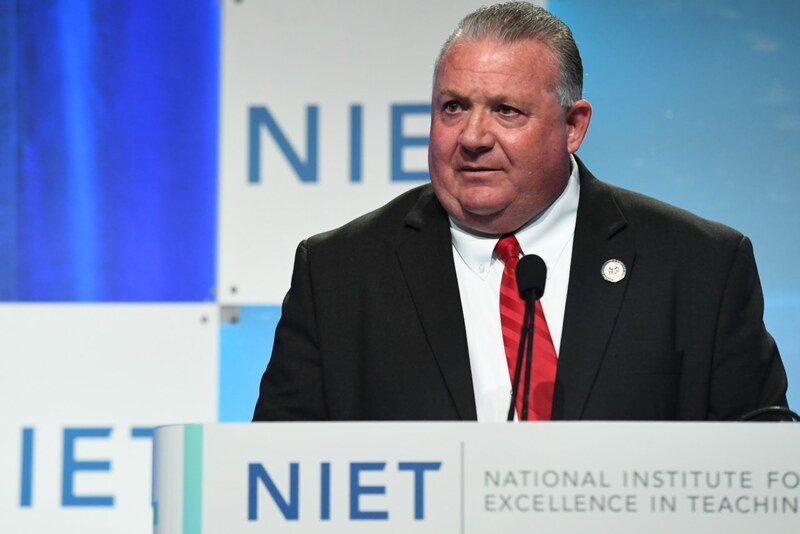 During the NIET annual conference in New Orleans, Louisiana, Superintendent Pat Mapes officially accepted the award on behalf of the district surrounded by 1,100 educators and education advocates from across the country. During a video presentation (click here), NIET showcased many of Perry Township’s practices that have led to educator effectiveness and student success. The video highlighted how our teachers embrace the diverse population – 16,300 students representing 67 countries and 72 languages – and grow students academically.